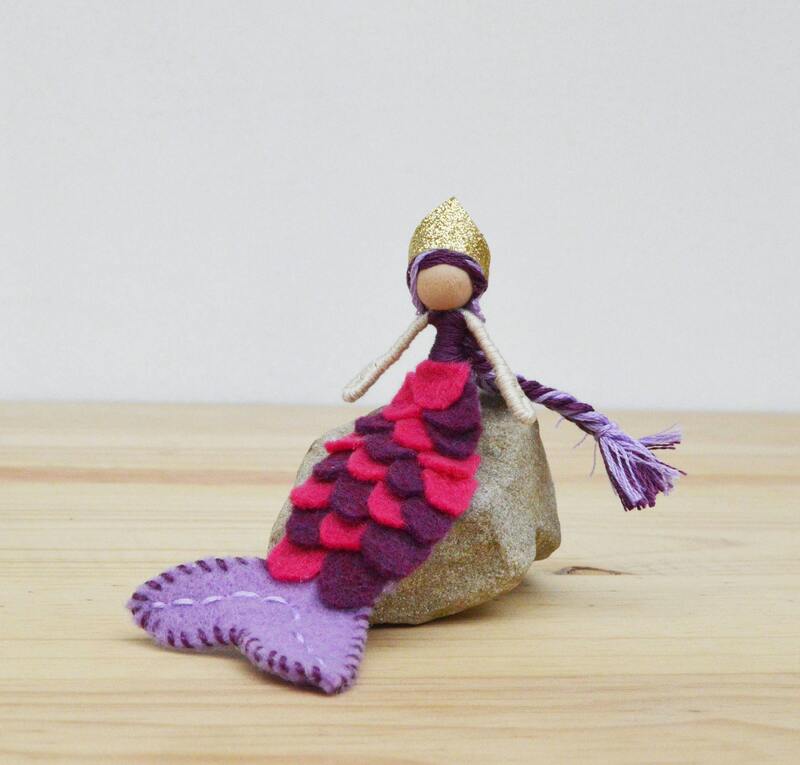 Meet Odessa, a one-of-a-kind miniature felt waldorf mermaid doll, ready for a oceanic adventure! She is just 5 inches long. 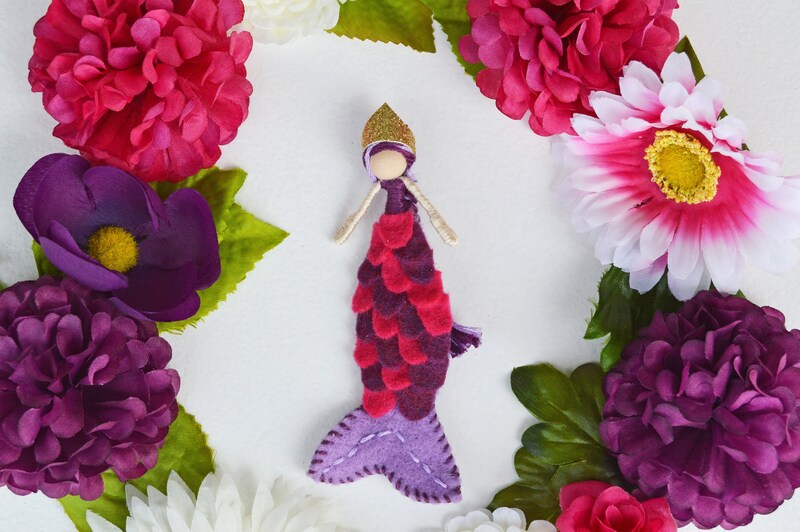 Odessa’s mermaid tail is lavender, burgundy, and pink polyester felt with a matching cotton floss bodice. 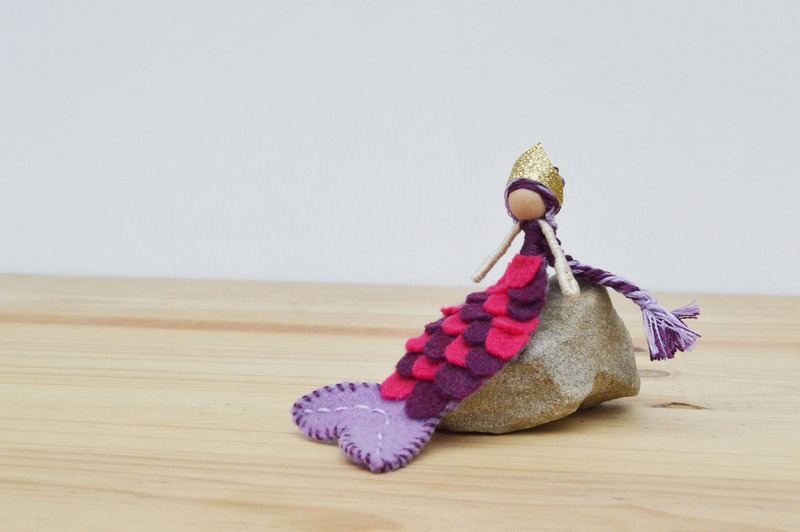 Her lavender and plum cotton floss hair is styled in a fishtail braid with a soft, gold crown. 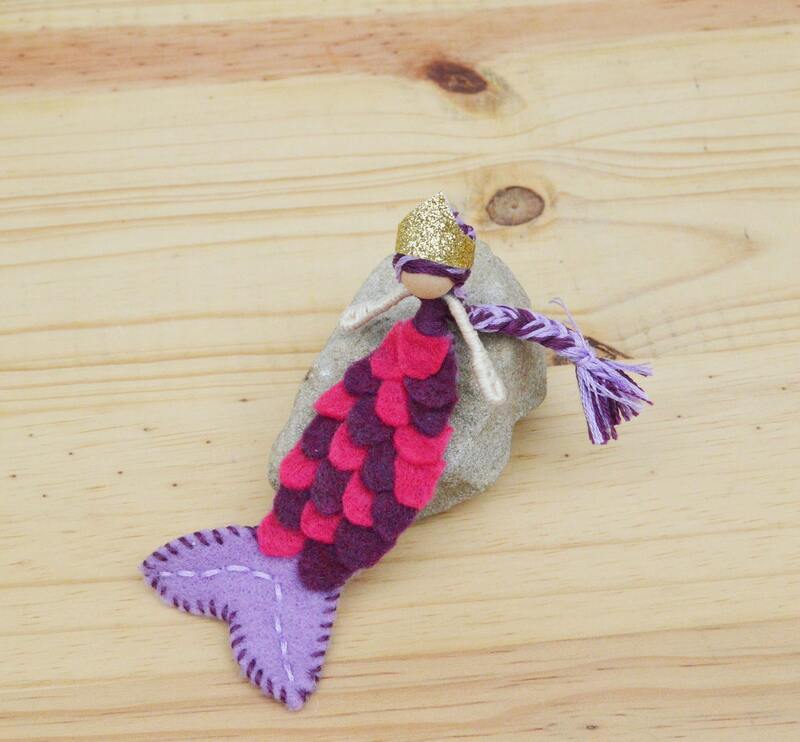 A mermaid doll pocket companion, a fanciful decoration for your mermaid or fairy decor, or for gentle imaginative play. 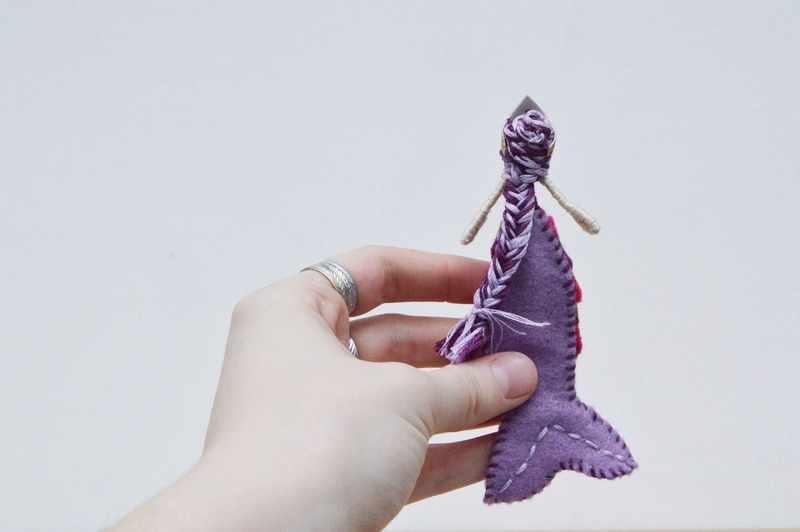 My Mermaid dolls are made from a wire body that I wrap with cotton floss and a head that is made with a natural wooden bead. 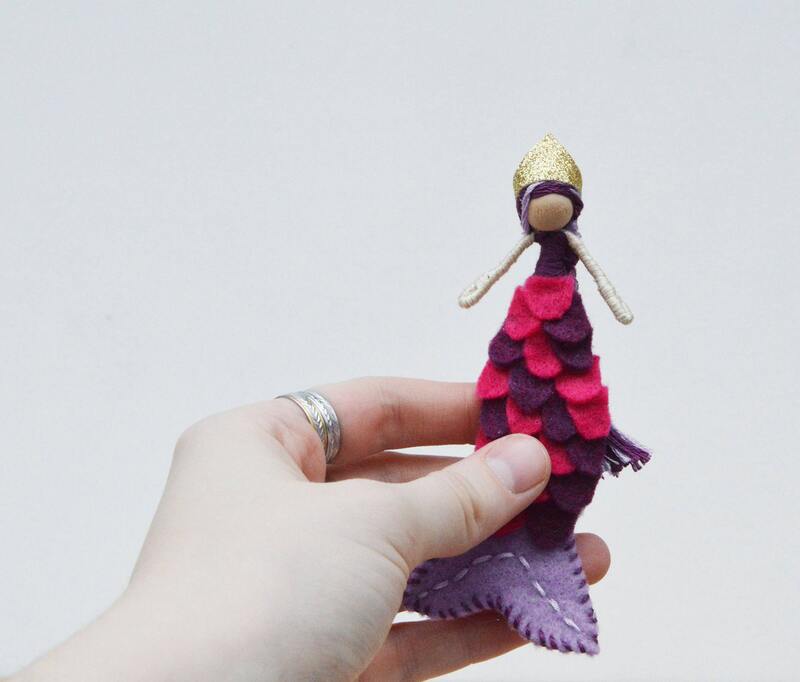 I choose a variety of materials to dress my mermaid: faux flowers and leaves, and recycled polyester felt. They stand the small height of just 4 inches. 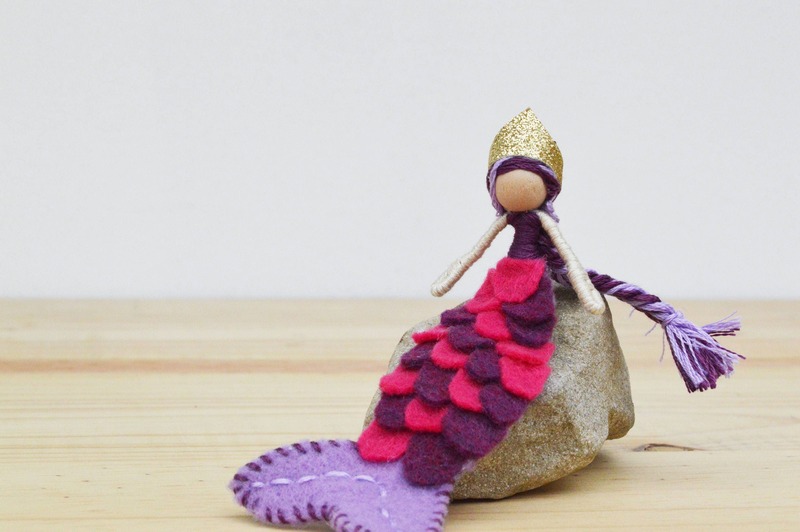 Whether for decoration, a surprise gift, a companion for the pocket, or imaginative play, these small mermaids will need gentle and loving care. They are dedicated companions, ready to lend their service for a glimpse into the delightful world of fairyland.